In recent years, with the numerous applications of various rectification and converter equipment, electronic equipment, electric arc furnaces, frequency converters, household appliances, and lighting equipment, the voltage and current of the power grid have been distorted, and the power grid has generated a large number of high-order power grids. harmonic. 1. Transformer For transformers, harmonic currents can lead to increased copper losses and stray copper losses, and harmonic voltages can increase iron losses. 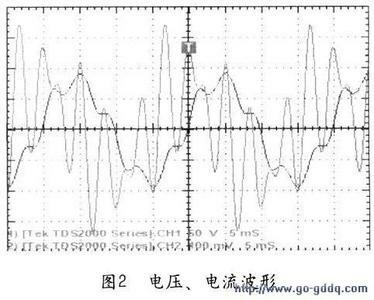 Compared with the sinusoidal current and voltage of the pure fundamental wave operation, the overall effect of harmonics on the transformer is higher temperature rise. It must be noted that these extra losses caused by harmonics will increase in proportion to the square of the current and frequency, which in turn will cause the fundamental load capacity of the transformer to drop. And harmonics can also cause transformer noise to increase. Dielectric Loss Tester 2. The power cable generates non-sinusoidal current in the conductor compared to a pure sine wave current with the same root-mean-squared value, but the non-sinusoidal wave will have higher heat. This additional temperature rise is caused by the well-known skin effect and proximity effects, which depend on the frequency and the size and spacing of the conductors. These two effects are like increasing the AC resistance of the conductor, which in turn leads to increased I2Rac losses. 3. The main effect of motor harmonics on the motor is to cause additional losses, followed by the generation of mechanical vibration, noise, and harmonic overvoltages. When the harmonic current of the motor increases, the degree of magnetic saturation of the motor increases, and the increase in the additional loss and heating of the motor caused by the motor is much greater than the loss and heat generated by the harmonic alone. For rotary motor equipment, harmonics increase noise compared to sinusoidal magnetization. Like five and seven harmonic sources, mechanical vibrations of the sixth harmonic frequency can be generated on the motor load system. The mechanical vibration is caused by the torque of the vibration, and the vibration of the torque is caused by the harmonic current and the fundamental frequency magnetic field. If the mechanical resonance frequency coincides with the excitation frequency of the electrical equipment, resonance will occur and high mechanical stress will occur. Risk of mechanical damage. 4. Switching Like other devices, harmonic currents cause additional temperature rise outside of the switch and reduce the fundamental wave current load capability. The increase in temperature rise will reduce the service life of some insulation components. 5. Electronic equipment computers and some electrical equipment, such as programmable logic controllers (PLCs), usually require total harmonic voltage distortion (THD) of less than 5%, and the individual harmonic voltage distortion rate is less than 3%, with high distortion. The amount can cause the control device to malfunction, which in turn can cause disruption in production or operation, leading to greater economic losses. 5. High degree of production automation can reduce the labor intensity of operators. It is beneficial to the automation of production management. 6, high production efficiency, CNC milling machine generally do not need to use special fixture and other special process equipment, in the replacement of the workpiece only need to call stored in the CNC device processing procedures, clamping tools and tool data can be adjusted, thus greatly shorten the production cycle. Secondly, CNC milling machine with milling machine, boring machine, drilling machine function, so that the process is highly concentrated, greatly improve the production efficiency.